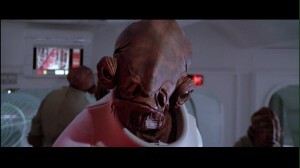 Admiral Ackbar plays a vital role in the Rebel Alliance’s attack on the second Death Star in Return of the Jedi. But no one cares about that. 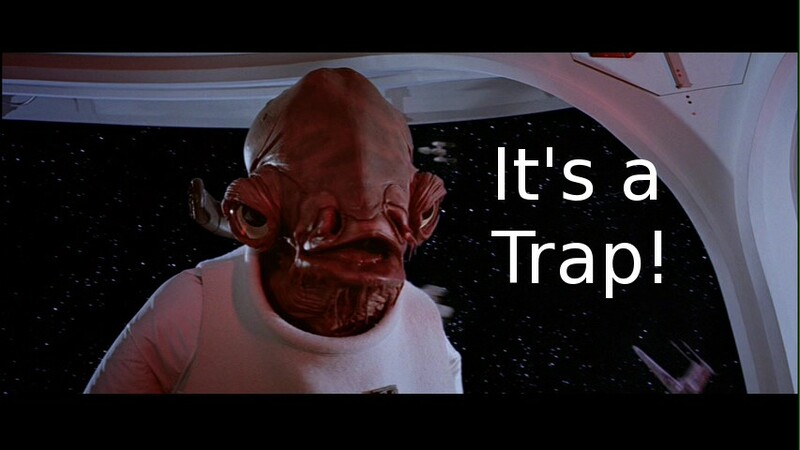 He’s really only ever remembered as the guy who says “It’s a trap”. Ackbar is� an Admiral. That’s a pretty big deal. As the Supreme Commander of the Rebel Alliance Fleet he’s the guy who leads the whole attack at the Battle of Endor. Maybe you’ve heard of Apple. Maybe you’re viewing this article on Apple’s newest handheld mobile device right now. When I first heard of Apple, I was three or four years old, and I was introduced to it as my first gaming machine. You might know about about iPhone and Macs, but do you know about the machine that made Apple a household name and carried them into the ’90s? Read on! Yes, we�re starting off this round of the Powet Alphabet with a little twist. This could have been an A article of an X article depending on how you look at it, but why would we want to deprive you all of the wonder and awesomeness that is Agent X? We wouldn�t, that�s why. So if you�re a comic book geek, like I�m sure a majority of you are, you might know a little character known in the Marvel Comic universe as Deadpool. 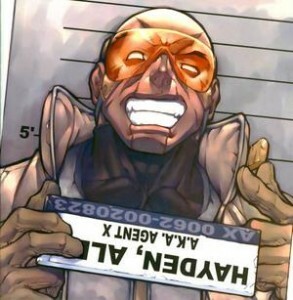 The self-styled �Merc with a Mouth� has been a fan favorite of comic books for some time, with his kooky-badass style and insane ramblings whist feeding people their innards. It�s hard not to like a character with that kind of bizarre appeal. Marvel comics saw the wonderful reception the character was receiving, and figured �Why not have more characters like Deadpool?� That�s where the tale of Agent X begins. Arrested Development was a sitcom on FOX. Wait, don’t go away, its really funny! The Bluth family was very wealthy. Until father George (Jeffrey Tambor) is arrested for fraud and is sent to prison. The family’s assets are frozen and they’re more or less forced to live like regular people. For a time anyway, the show kinda spirals out of control in strange directions a lot and its hard to explain unless you’d seen all that came before it. Michael Bluth (Jason Bateman) is the central character of the show. He’s the most responsible and rational member of the family, and thus as the viewer the one you’re most likely to relate to. He’s a single father with a son played by Michael Cera, George Michael Bluth. Michael also has a brother, a professional magician named George Oscar Bluth (nick named Gob, presumabley because theres so many Georges around) and is portrayed by Will Arnett. Then theres Lindsay the sister and her husband Tobias (Portia Di Rossi and David Cross), brother Buster (Tony Hale), and… well the cast is huge, but they all get their time. If you’d prefer a less verbose introduction, watch this clip. Yes that is the voice of Ron Howard, icon of the sitcom, narrating the series. Howard’s influence no doubt kept the show on the air for 3 seasons, and also inspired some its most notable guest stars, such as Liza Minelli, Henry Winkler, and Charlize Theron. The Bluth family dealt with their father’s imprisonment and keeping the company in business all while living in the model home for a barren real estate project. While GOB would frequently be seen in a Segway scooter, Micheal’s primary form of transportation was the “Stair Car” which was used for deboarding the company plane. Various family members take control of the company, and run-ins with the law are frequent. Its a kind of hard show to describe if you don’t start at the beginning. In a way, its like some anime series where if you jump in around episode 300, you have no idea whats going on. Except Arrested Development gets that complex around episode 4 or 5. Its a rare comedy series that strayed far from the episodic nature of most series. Very few (if any) single episodes functioned as a standalone work, since the layered and constantly developing characters built on jokes from show to show. A joke about “Club sauce” in season 1 is repeated in season 3. More often, a joke would be called forward, making subsequent viewings of an episode funnier now that the truth about a character or event is revealed, such as Charlize Theron’s character Rita and her true identity. Fox pulled the plug midway through the third season and the final 4 episodes were run on a single night. Rumors persisted that a premium cable network such as Showtime or HBO would pick up the show, and even now theres a lot of talk about a movie. But even if none of this ever comes to pass, Arrested Development stand as one of the most ground breaking comedy series since Monty Python. Consistently funny, very rewatchable, and one of the greatest casts ever assembled. All episodes are available on DVD. Go ahead and buy ’em. Its far from the lamest thing ever put on tape. or watch the entire series for free (in the US anyway) on Hulu.